Valeska is originally from the Municipality of Puerto Barrios, in the Department of Izabal, Guatemala. She was selected as a GOJoven Guatemala Fellow when she was 24 years old. 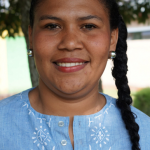 Valeska is a young Garifuna woman who is committed to the Garífuna people, proactive, entrepreneurial, transformative and innovative, with a focus on respect for human rights. Valeska currently provides a volunteer service to an organization that works on the prevention of pregnancy in girls by facilitating spaces for dialogue. The organization works with girls from educational centers at the national level and focuses on issues of sexual and reproductive health rights. 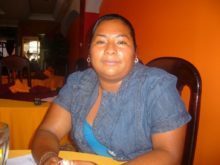 Valeska also works to promote the Garífuna culture through the nationalization of the Decade of Afro-descendants in Guatemala.